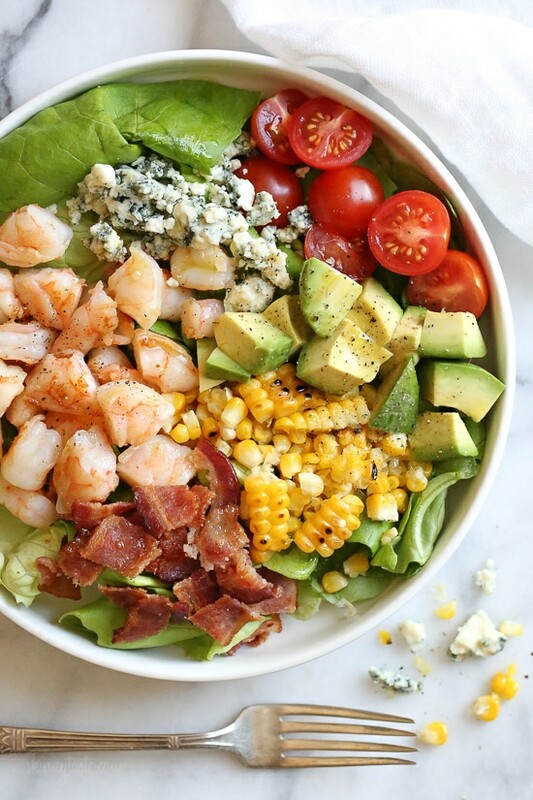 This hearty Chopped Salad with Shrimp, Avocado, Blue Cheese and Bacon is simple and satisfying. Great for lunch or dinner! So easy to make, made with butter lettuce, avocado, tomatoes and corn and finished with a drizzle of olive oil. 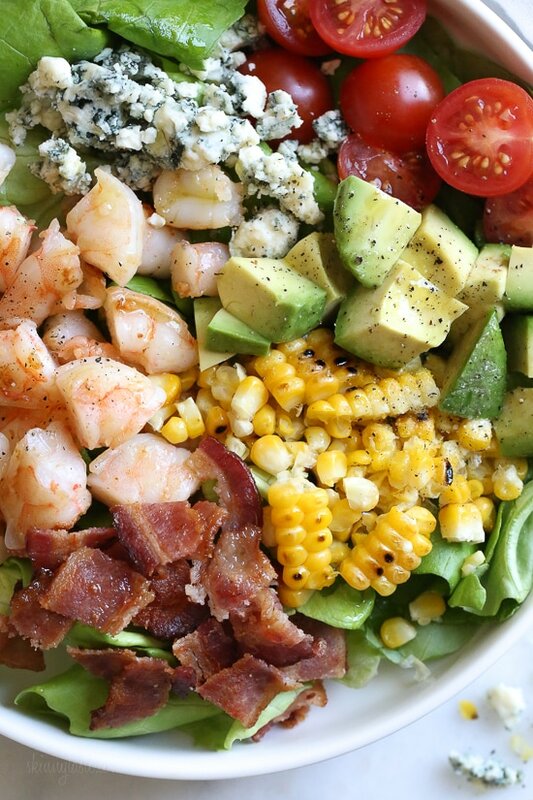 Spring for me always means less comfort food, and more hearty salads for lunch and dinner. Some of my go-to’s are Rosemary Chicken Salad with Avocado and Bacon, Carne Asada Steak Salad, or Crock Pot Chicken and Black Bean Taco Salad, just to name a few but I just love a salad with shrimp and avocado (Zesty Lime Shrimp and Avocado Salad is a favorite)! 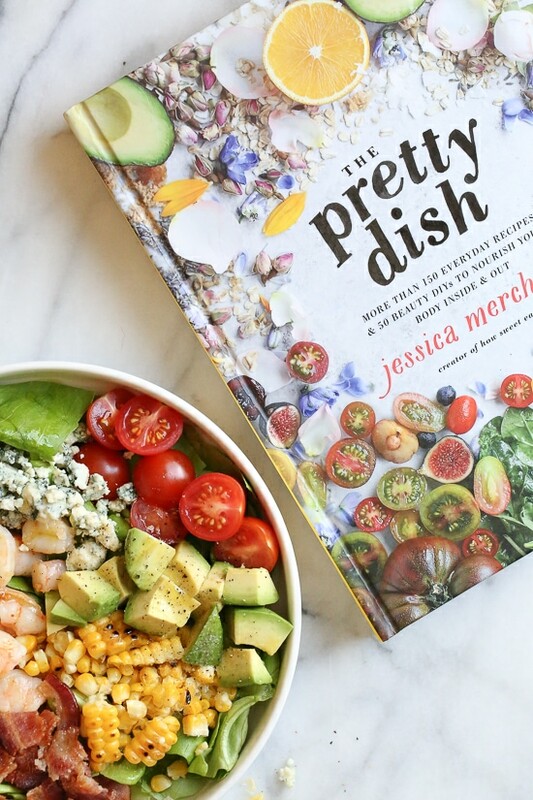 I recently got my hands on my friend Jessica’s new cookbook The Pretty Dish: More than 150 Everyday Recipes and 50 Beauty DIYs to Nourish Your Body Inside and Out (affil link) and knew I had to make this! Her cookbook is beautiful, and filled with recipes, along with themed menus, party ideas, killer playlists, and DIY beauty projects. Such a fun and beautiful cookbook! I slightly modified her recipe with calories in mind, cutting back on the cheese and using center cut bacon. I also swapped some of the bacon fat for olive oil, but really just minor tweaks. The salad was delish, and so satisfying! If you don’t eat pork, you can swap the bacon for turkey bacon. 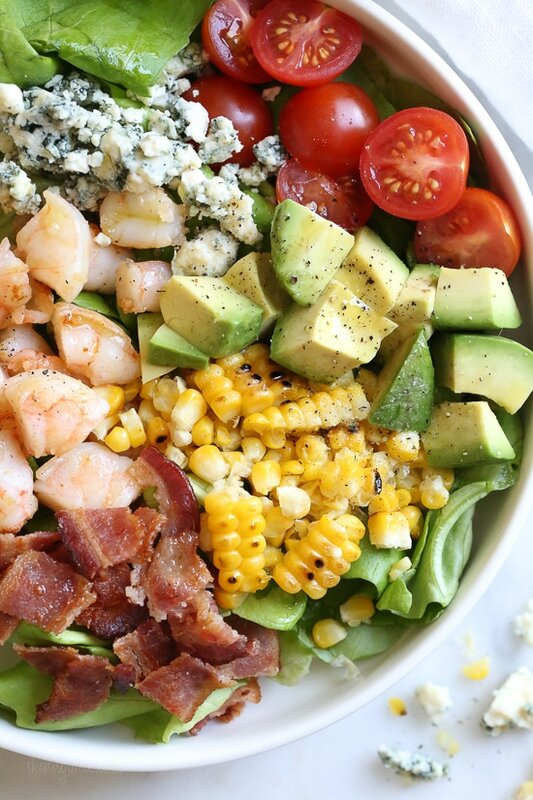 To make this Keto, omit the corn and add more avocado. 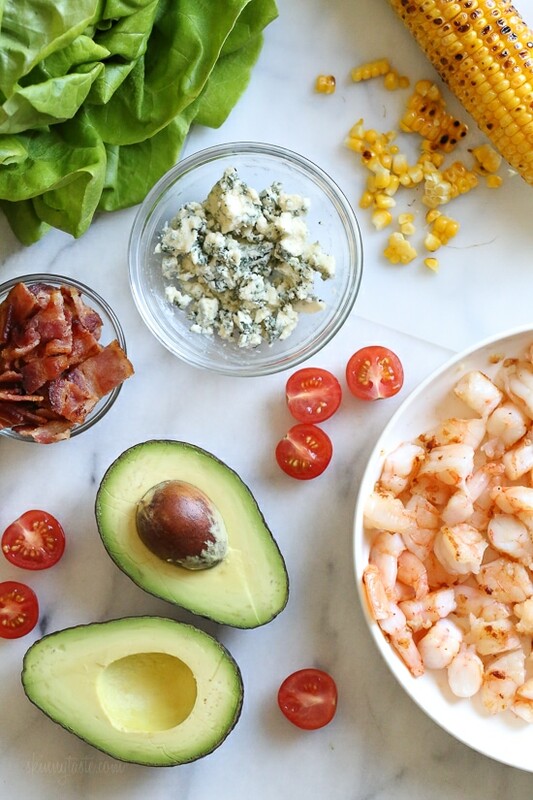 To make this Whole30 or Paleo, omit the cheese and corn, add more avocado and tomatoes. You can halve this if you’re cooking for 1 or double to make enough for 4.